DJ-Dewey will be stopping by the Pioneer Club November 17th for a night of music and fun! 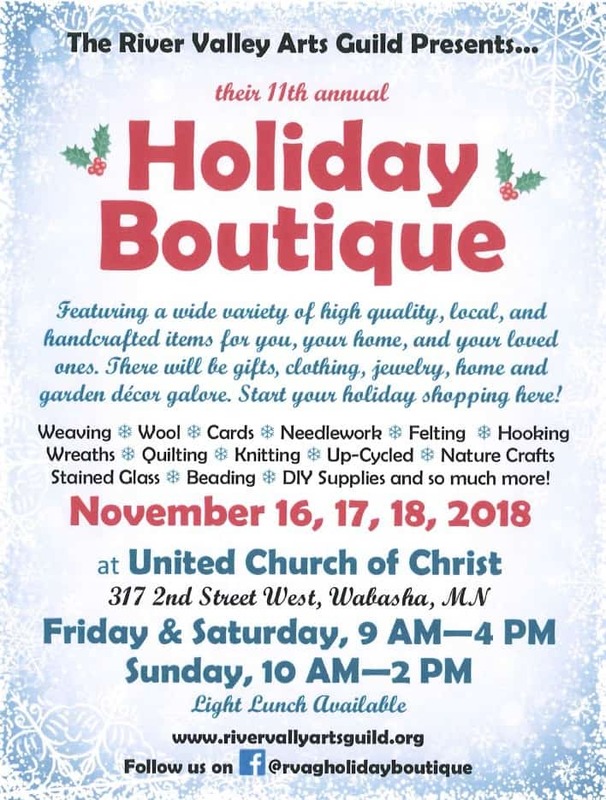 The River Valley Arts Guild Presents their 11th Annual Holiday Boutique. Featuring a wide variety of high quality, local, and handcrafted items for you, your home, and your loved ones. 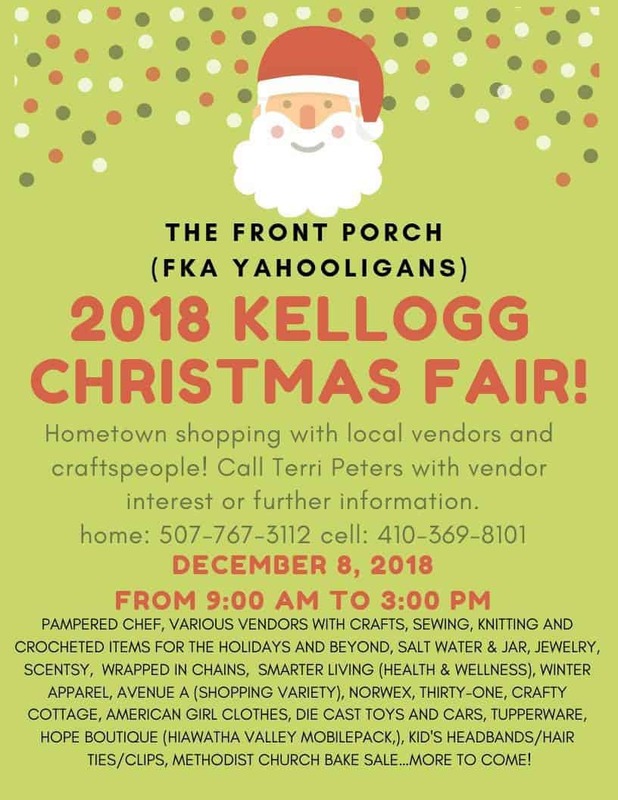 There will be gifts, clothing, jewelry, home and garden decor galore. 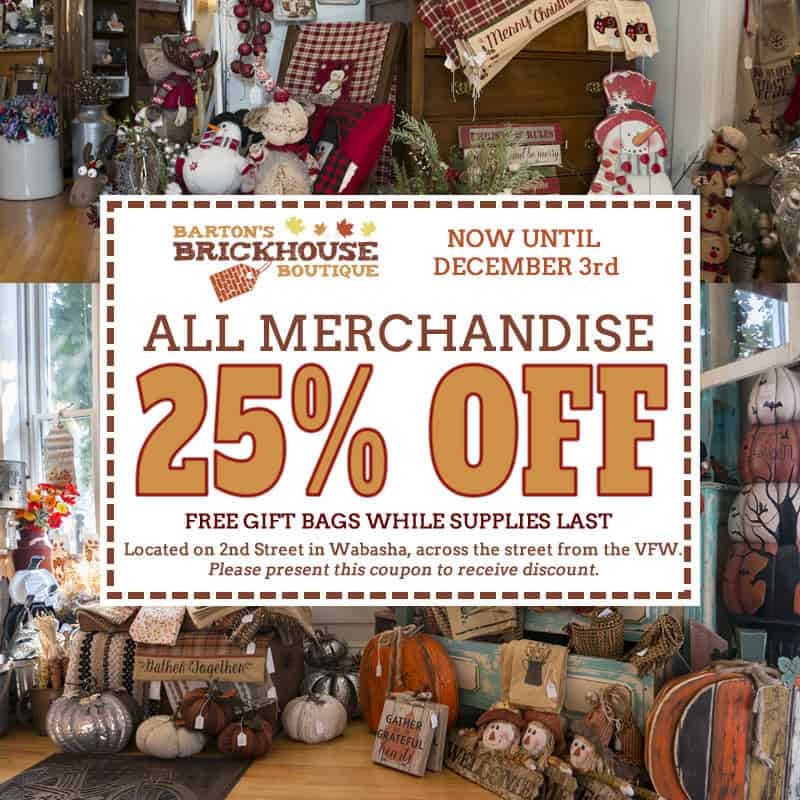 Start your holiday shopping here! In the need for craft supplies? 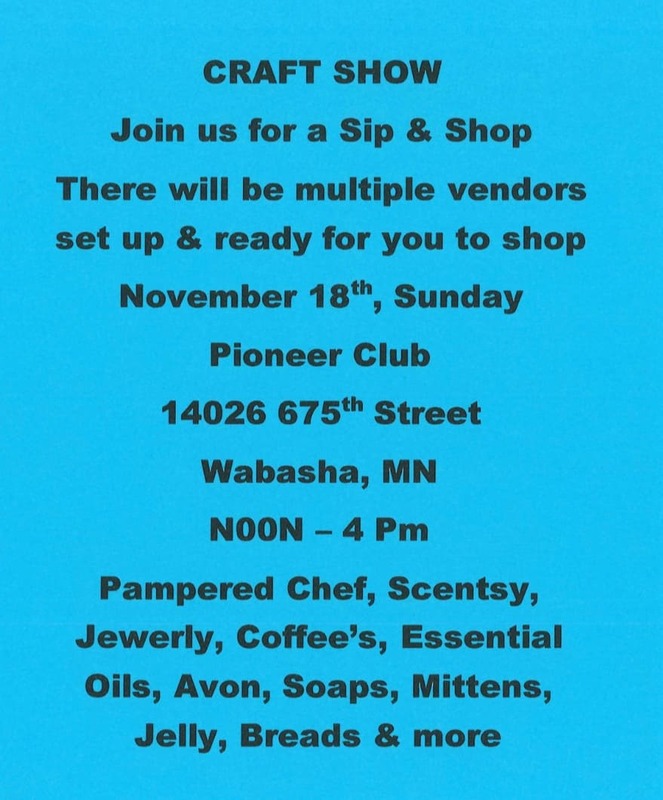 The craft sale will be at the Pioneer Club on November 18th. Join us for a Sip & Shop. There will be multiple vendors set up and ready for you to shop on Sunday November 18th, from Noon - 4:00pm. We hope you all have a wonderful Thanksgiving! 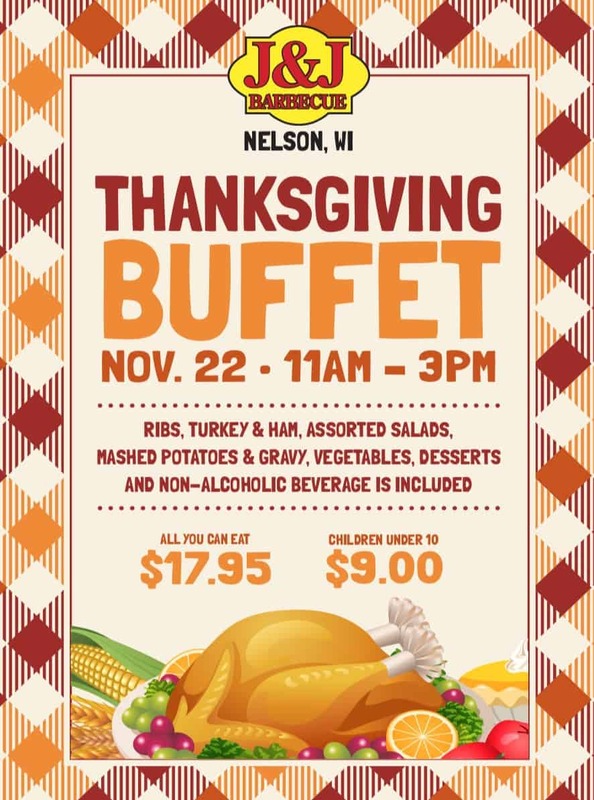 Enjoy a delicious Thanksgiving meal at J&J Barbecue on November 22nd. 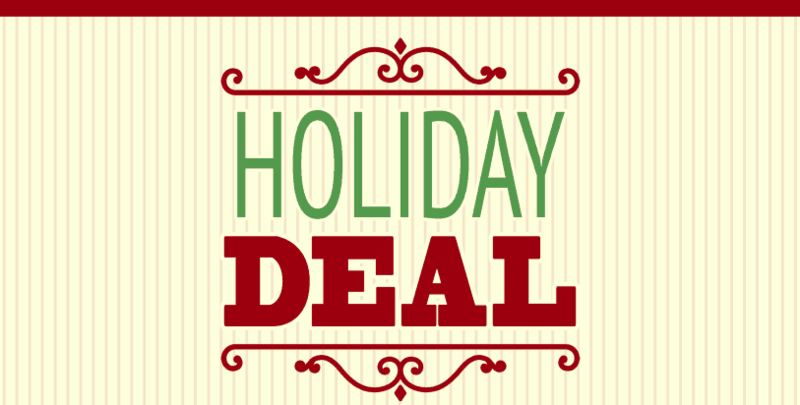 The menu includes all you can eat ribs, turkey, assorted salads, mashed potatoes & gravy, vegetables, and desserts. Town and Country offers all you can eat fish and shrimp every Friday evening serving 4 till 9... also serving our awesome prime rib along with our all you can eat shrimp serving every Saturday evening 4 till 8.If you're looking for an outstanding breakfast, stop on in to Town & Country Cafe! 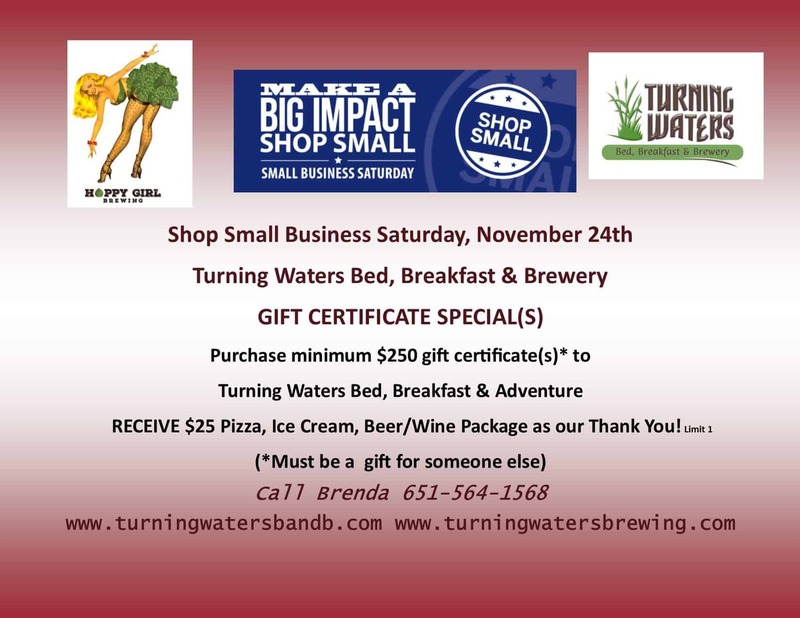 Turning Waters Bed, Breakfast, & Brewery Gift Certificate Specials Purchase a minimum of $250 in gift certificates to Turning Waters Bed, Breakfast, & Adventure and receive $25 pizza, ice cream, beer/wine package as our thank you! (limit 1) Must be a gift for someone else. Call Brenda at 651-564-1568 to purchase certificates and learn more. Visit us at our Bed & Breakfast website and our Brewery website! Shop Small is a nationwide movement to celebrate small businesses every day and to help communities thrive and stay vibrant. Small Business Saturday® – a special day when we can show support as a nation for small business owners and communities – helps fuel the Shop Small Movement. 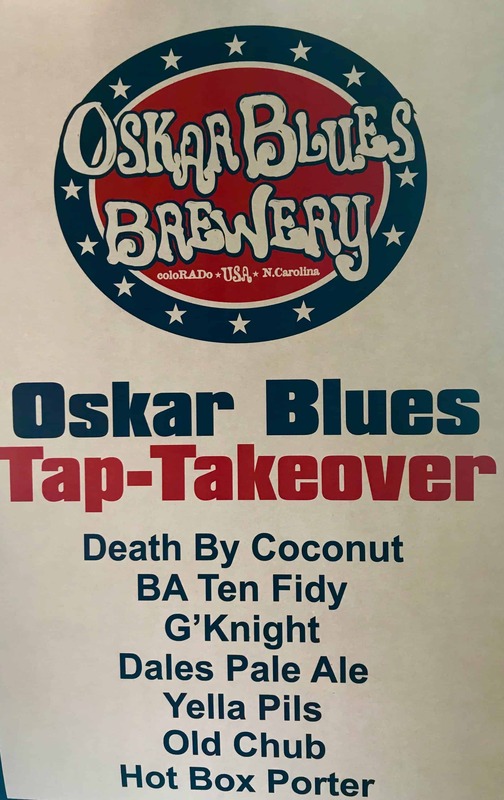 Help Turning Waters Back Alley Brewing Co kick off their pre-anniversary week with a tap takeover from one of our favorite breweries...Oskar Blues Brewery in Lyons, CO. Enjoy a flight sample of Ten Fidy, Ten Fidy Barrel Aged, Death by Coconut, Hot Box Porter, Old Chub, G'knight, Dales Pale, Mama Little Yella Pils. Party kicks off on Thursday, November 15th thru Sunday, November 18th. and Wednesday, November 21st thru Sunday, November 25th. 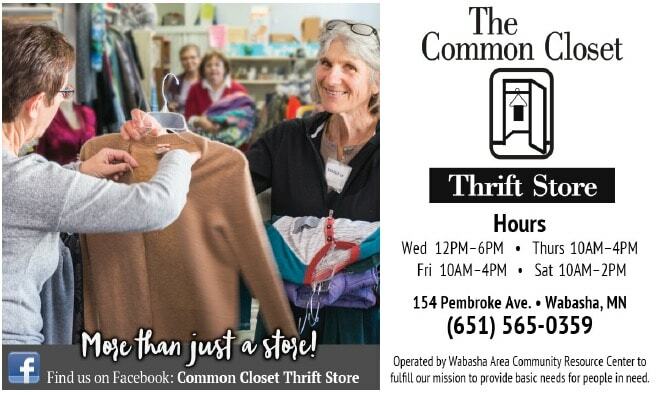 Stop in and see what we have become in Wabasha. The First Brewery Since Prohibition! Join Mayor Hall on November 30th for the Old Fashioned Tree Lighting in Heritage Park at 6:30pm. 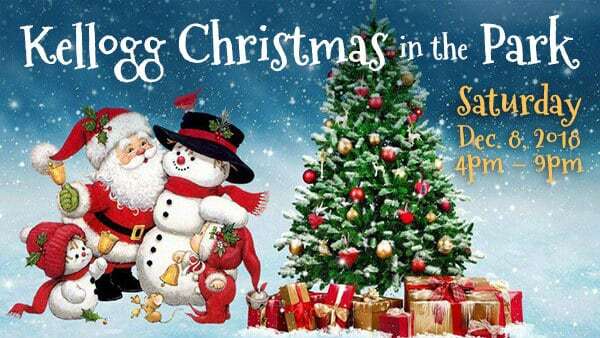 Come visit Santa, listen to carolers, and enjoy some cocoa and candy canes. From Hastings to Winona, holiday cheer prevails in each little town along Highway 61. Visit the various decorated shops, restaurants, and galleries. 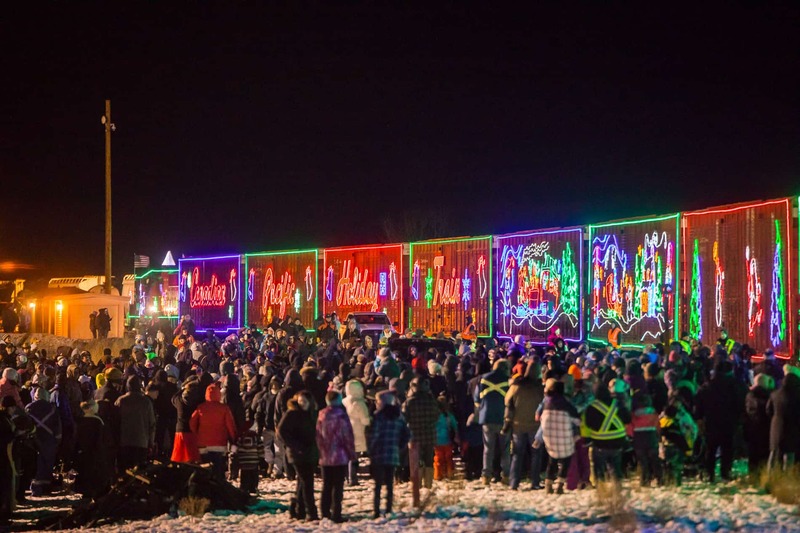 Through our businesses, our community, and just the town feeling itself…when people come here during the first weekend in December we would like them to feel like they are just coming home to witness the beauty and wonderment of the season. It’s the excitement of knowing Santa is just around the corner. Take a visit to the Pioneer Club on December 1st for the Southbound Country Band! Celebrate old fashioned Christmas in Wabasha with many fun and festive activities! 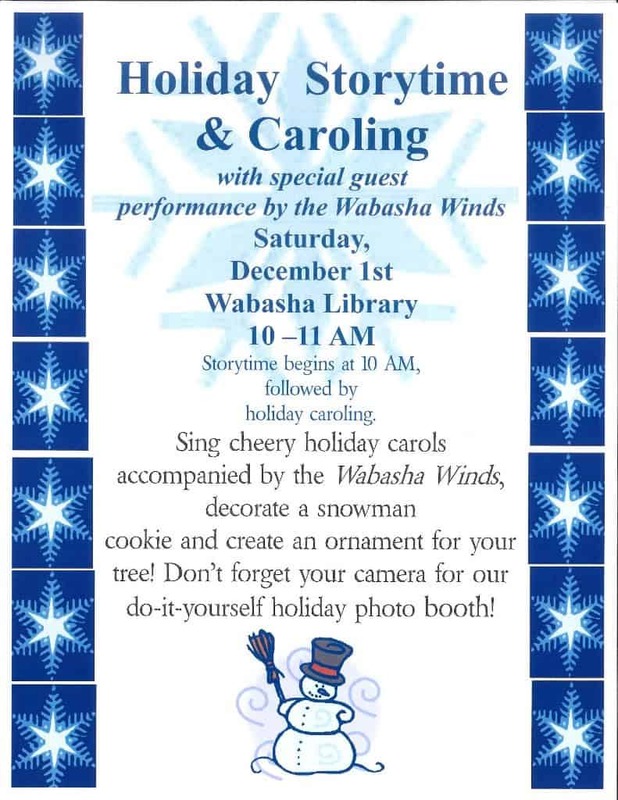 The Wabasha Library welcomes you to their Holiday Storytime & Caroling event with special performance by the Wabasha Winds on Saturday December 1st from 10-11 am. Activities include singing holiday carols, decorating snowman cookies, creating an ornament for your tree, and more! We have a very special event for you to enjoy at The Chocolate Escape. 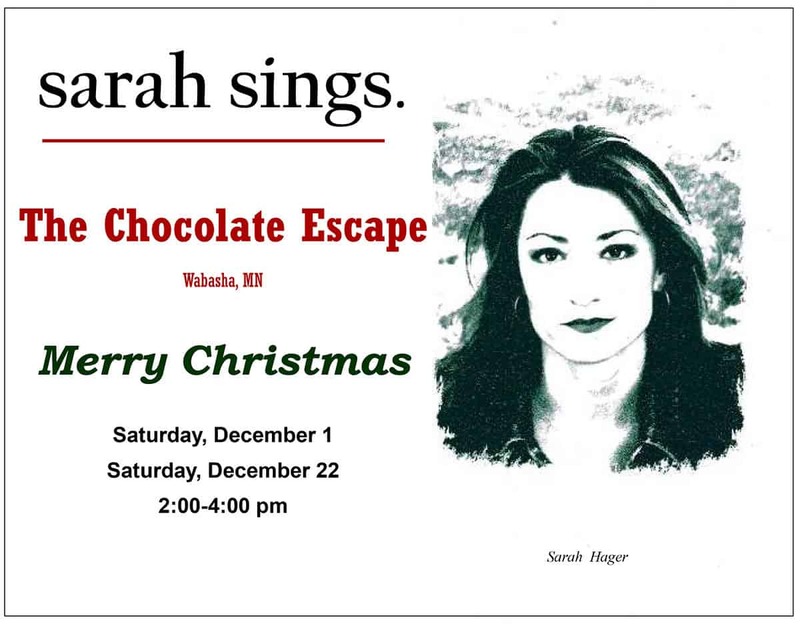 Saturday December 1st and 22nd, from 2 to 4pm, Sara Hager will be singing some Holiday tunes to get you in the Holiday Spirit! So bring your family, friends, and kids to join in the fun and enjoy her beautiful voice and performance! One step into Barton’s and you will discover room after room of charming home decor! We offer a large selection of seasonal decor to bring your home into the holidays, along with year ’round accessories. Enjoy a relaxed shopping atmosphere browsing over florals, candles, prints, lanterns, signs and more! You’re sure to find just that right piece for you and a gift for someone special. 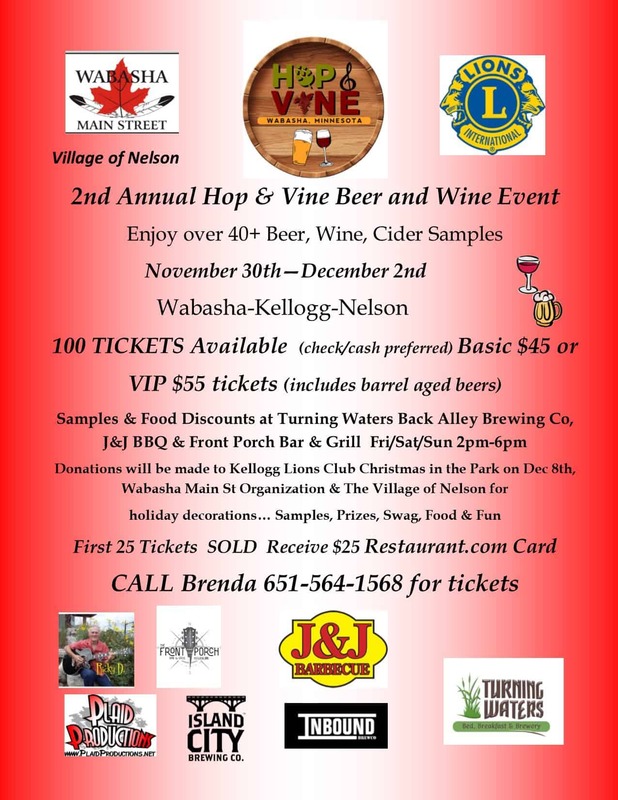 Enjoy over 40+ beer, wine, and cider samples November 30th-December 2nd throughout Wabasha, Kellogg, and Nelson. 100 tickets available! Basic: $45.00 or VIP: $55.00 Call Brenda at 651-564-1568 for tickets. 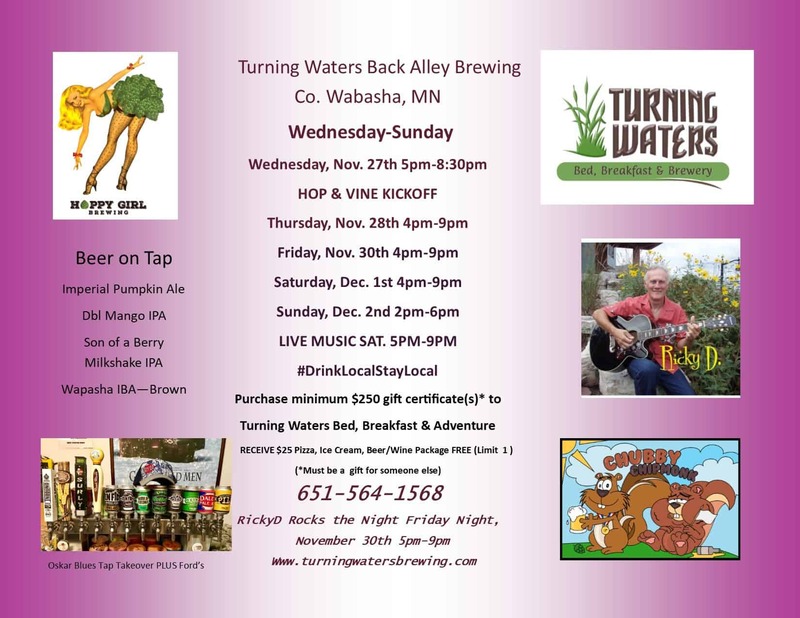 Join Turning Water Back Alley Brewery Wednesday November 28th - Sunday December 2nd for the Hop & Vine Kickoff! Join us at the Wabasha Library to welcome author Kent Nerburn. 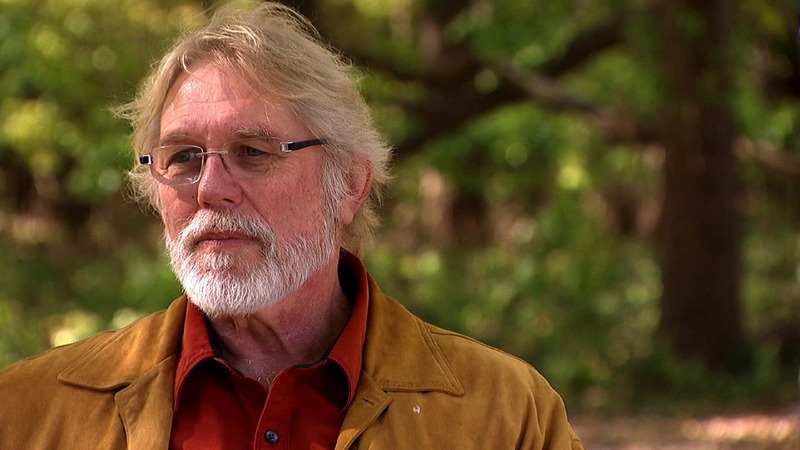 Kent will be discussing his new book " Dancing with the Gods: Reflections on Life and Art". He will also squeeze some readings from "Native Echoes: Listen to the Spirit of the Land", a Minnesota Winter book. Thank you to the River Junction Arts Council and the Friends of the Library for co- sponsoring this event! 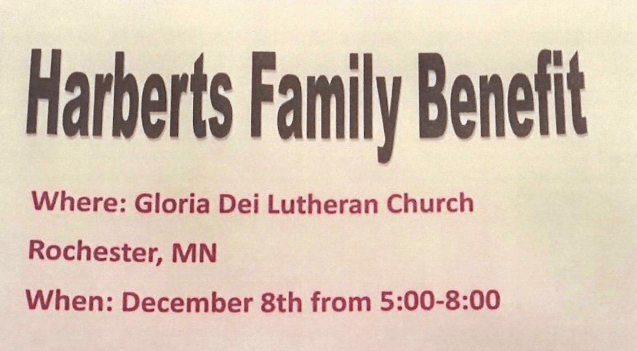 The Harberts Family Benefit will be held at Gloria Dei Lutheran Church in Rochester on December 8th from 5:00-8:00pm. There will be food, bake sale, silent auction, and 50/50 raffle. If you would like to donate of have any questions, please text Kelsey Flowers at 507-273-7583. Pre-register for the event on the Facebook event page! For many people the holiday season can be a ‘blue’ time due to the loss of a loved one or because of difficult personal circumstances. Participating in the traditional holiday activities may be hard or even impossible, but a yearning may exist to experience Christmas in a meaningful way. Therefore, the Wabasha United Church of Christ together with Faith Lutheran are offering the Wabasha community a unique and special service to meet the needs of those who would like to embrace a quieter side of the season, reflect in a peaceful setting and light a candle of remembrance for those they love and miss at Christmas time. 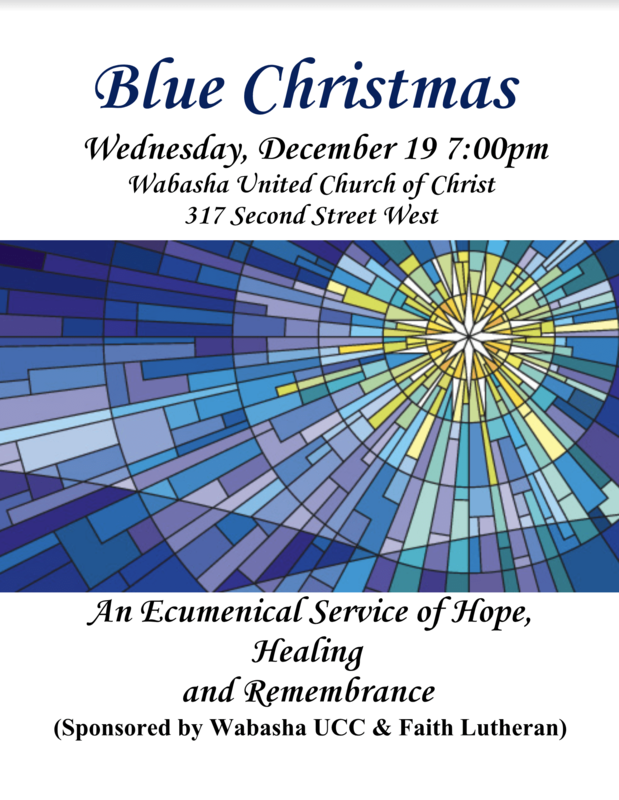 The service will be held Wednesday, December 19 at 7:00pm at the Wabasha United Church of Christ, 317 Second Street, Wabasha. All are welcome. Open late every Friday night 'til 7:00 pm in December until Christmas - extended hours for holidays. Thank you for shopping local. 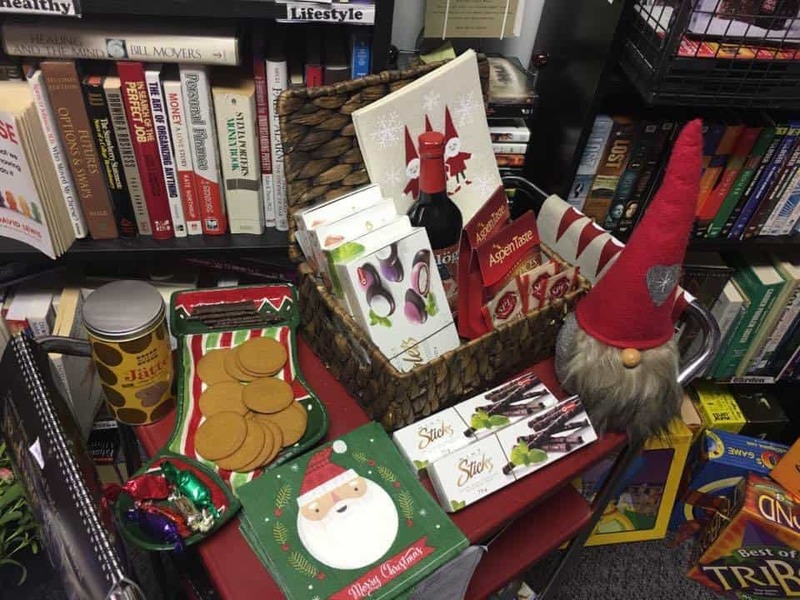 We have something for everyone on your list - NYT bestsellers books, children’s books, local authors , local artists card lines , made in Minnesota gifts of soaps, Harry Potter Puzzles and books, candles and oil diffusers and vintage music, board games and comics. The Pioneer Club welcomes you to join in on the fun with Rip Roaring Entertainment on December 22nd! We have a very special event for you to enjoy at The Chocolate Escape. Saturday December 22nd, from 2 to 4pm, Sara Hager will be singing some Holiday tunes to get you in the Holiday Spirit! So bring your family, friends, and kids to join in the fun and enjoy her beautiful voice and performance! Stop by for our Customer Appreciation Night! The Pioneer Club will be opening up their Christmas Eve Bar at 3pm. The Dining Room will not be open. The Pioneer Club will be closed on Christmas Day. We hope everyone has a happy holiday! The Classic Rockers will be performing at the Pioneer Club on New Years Eve! Stop on by! 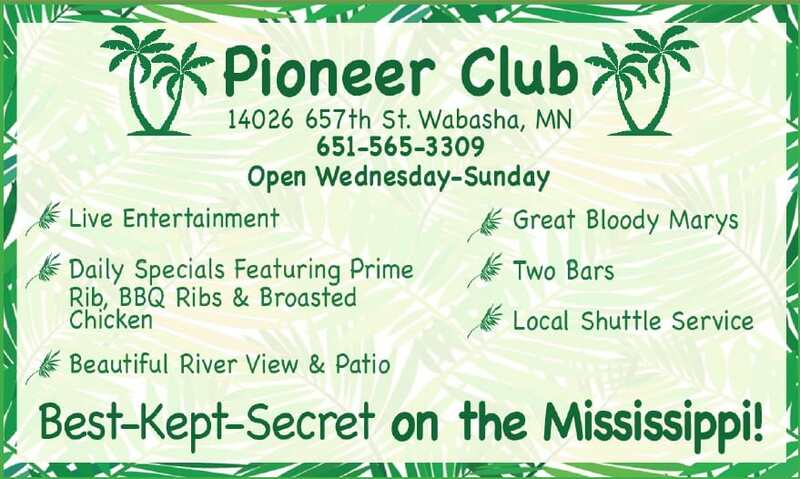 The Pioneer Club will be serving from 4-10 pm on New Years Eve. Come on over to help celebrate! Stop down at the Pioneer Club on January 5th to hear D.J.-Dewey! 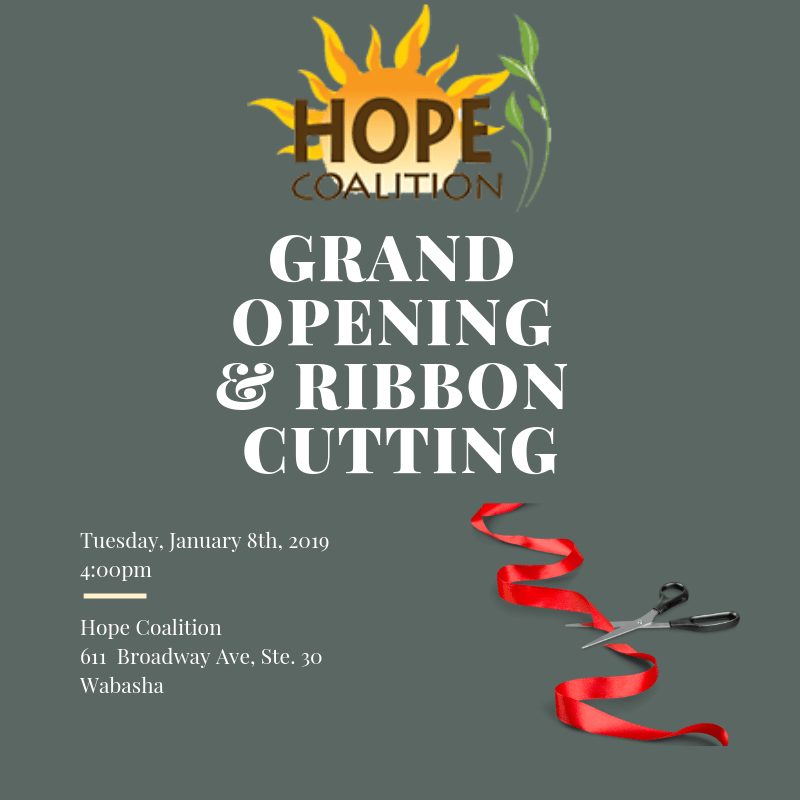 Join Hope Coalition in celebrating their grand opening with a ribbon cutting ceremony on Tuesday, January at 4:00pm. 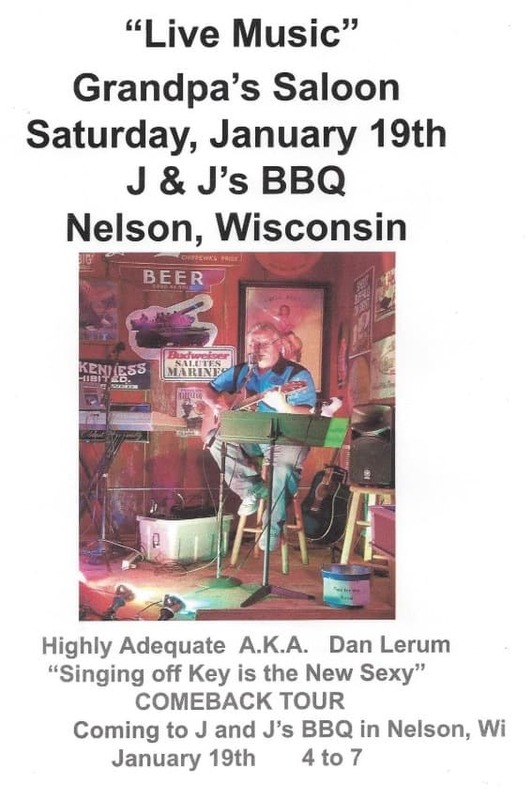 Plan to be at Grandpa's Saloon Saturday Night for the music of Dan Lerum as he kicks off his 2019 tour. BBQ and Brew Specials all evening! 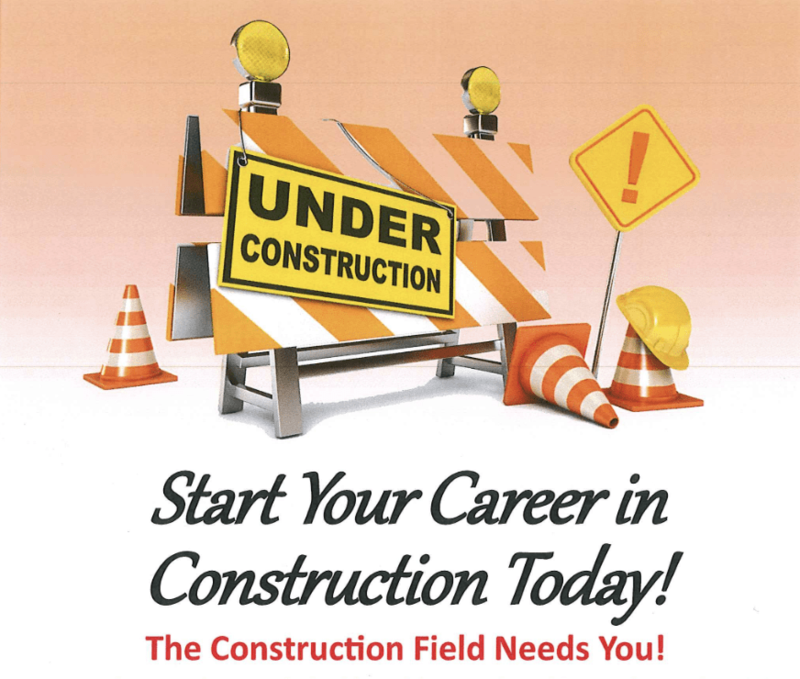 If you are interested making a great wage working with your hands, consider a career in construction. Starting wage begins at $22.70 and offers free, 1 month training, to get you prepared for the construction business. 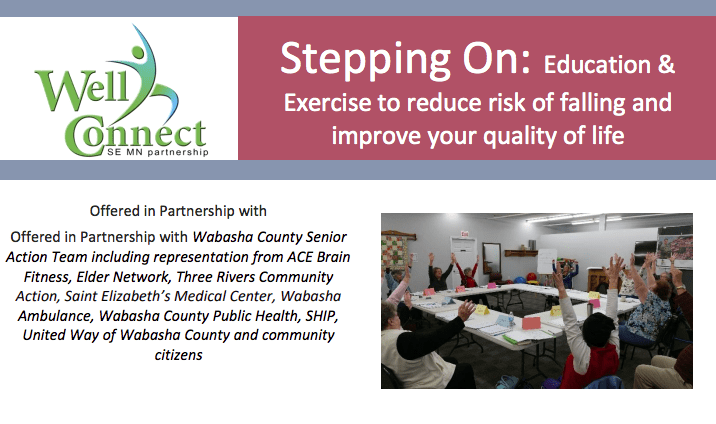 Call Ramona at 651-565-2635 at the Wabasha WDI for more information. The Pioneer Club is excited to have D.J.-T.J. performing on January 26th. Stop by for some great entertainment! The Pioneer Club will be closed on December 27th for the employee Christmas party. Join us for a Wellness Wednesday on January 30th, where we will be discussing the importance and benefits of vaccinations. Stop by to learn how vaccinations can spread disease, which vaccinations are recommended for adults, and how to stay up to date on your vaccinations. No appointment necessary. Anyone is welcome to stop by for a consult between 8:30-noon in the central lobby. Be a part of the Drift Skippers Fun Run at the Pioneer Club on February 2nd! Looking for a great way to spend your Saturday? Stop by the Pioneer Club for music entertainment by the Smokin' Coyotes! Root for your team during the Superbowl at the Pioneer Club! Make your way down to the Pioneer Club on February 9th for the Family Fun DJ! 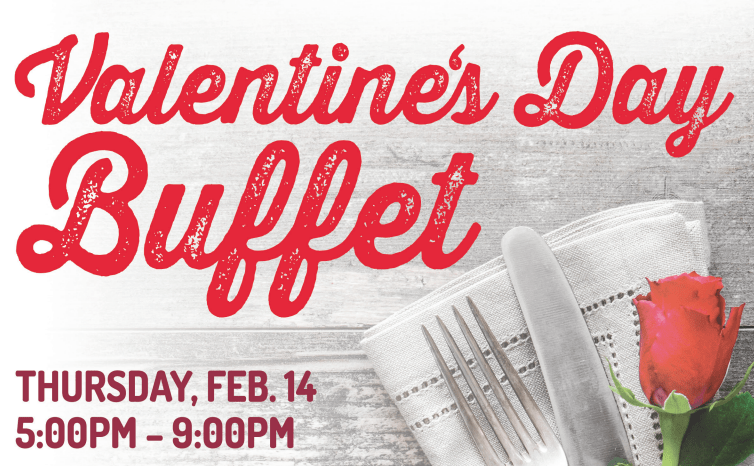 Enjoy a delicious Valentine's Day Dinner at the Pioneer club with the one you love most. Celebrate the beginning of the Grumpy Old Men Festival with a fun game of bingo at the VFW! Sponsored by the American Legion Auxiliary Unit 50. 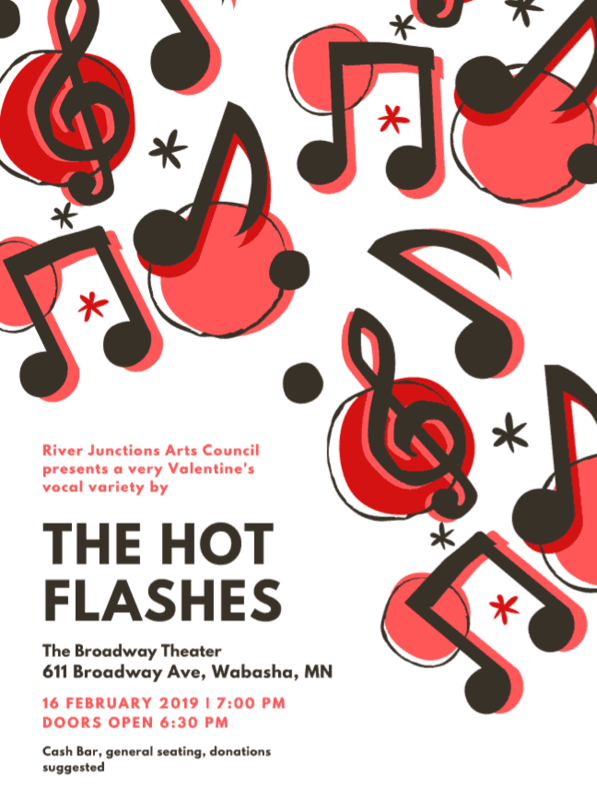 Enjoy live music by the Hot Flashes on February 16th at the Broadway Theater in Wabasha. The Valentine's Day vocal special promises to be a great time for everyone! Cash bar by Turning Water Back Alley Brewing. $10.00 suggested donation Doors open at 6:30pm Click here to learn more! 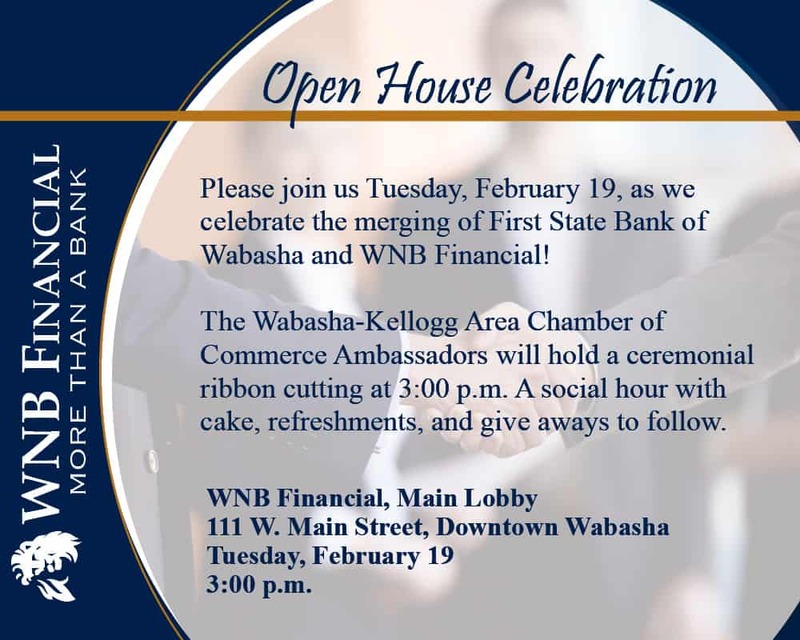 Join WNB Financial on Tuesday, February 19th as they celebrate the merging of First State Bank of Wabasha. A Ribbon cutting will take place at 3:00 pm followed by cake, refreshments, and give aways to follow. The Wabasha Public Library is excited to be holding a discussion on the History of the Grumpy Old Men Movies led by film studies major, Ben Glomski! This event is free to the public. Contact the Library at 651-565-3927 for more information. Click here to view all the Grumpy Old Men Hosted by the Wabasha Public Library! Join outdoor enthusiast storyteller Mike Slygh at the Wabasha Public Library for a great time of riveting tales! This event is free to the public. Contact the Library at 651-565-3927 for more information. Click here to view all the Grumpy Old Men Hosted by the Wabasha Public Library! Enjoy live music at the Turning Waters from 5:00pm-9:00pm. The Grumpy Costume Contest will be held at 7pm! Join us at the Wabasha Public Library to watch the movie that started it all! The Grumpy Old Men movie will begin at 6:00pm! This event is free to the public. Contact the Library at 651-565-3927 for more information. Click here to view all the Grumpy Old Men Hosted by the Wabasha Public Library! 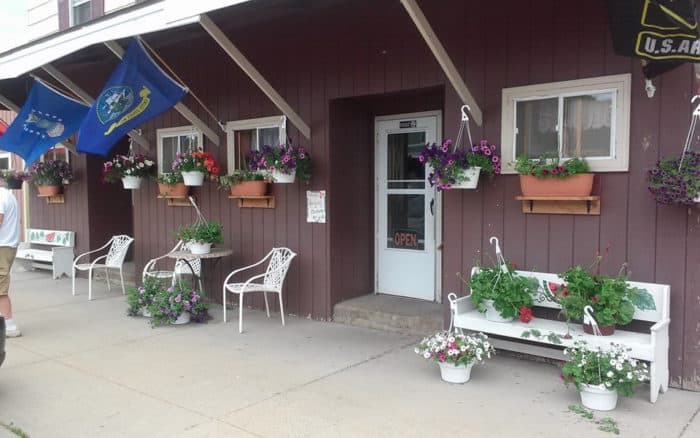 Enjoy live music entertainment by the Bear Creek Band at the VFW to help celebrate the 26th annual Grumpy Old Men Festival! Silver Star Saloon is excited to host Mike Malles Acoustic Friday February 22nd during the Grumpy Old Men Festival! Check out our selection of black and red clothing for the Grumpy Old Men Festival! We will have in store sales throughout the weekend as well as hot cider. 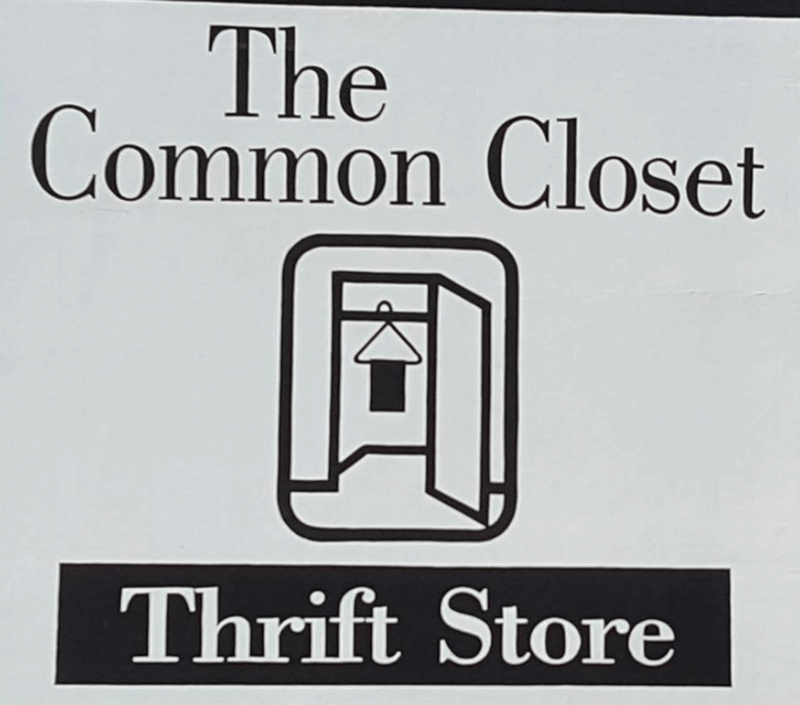 Be sure to stop into The Common Closet! Stop over to the Wabasha Public Library on February 23rd at 10:00 for Family Storytime. This event is free to the public. Contact the Library at 651-565-3927 for more information. Click here to view all the Grumpy Old Men Hosted by the Wabasha Public Library! Head on down to the National Eagle Center Riverfront for snowmen, snow forts and delicious S'mores during the Grumpy Old Men Festival! Can you catch the biggest fish? Find out at the Ice Fishing Contest on Saturday, February 23rd! Registration opens at 10:00am! 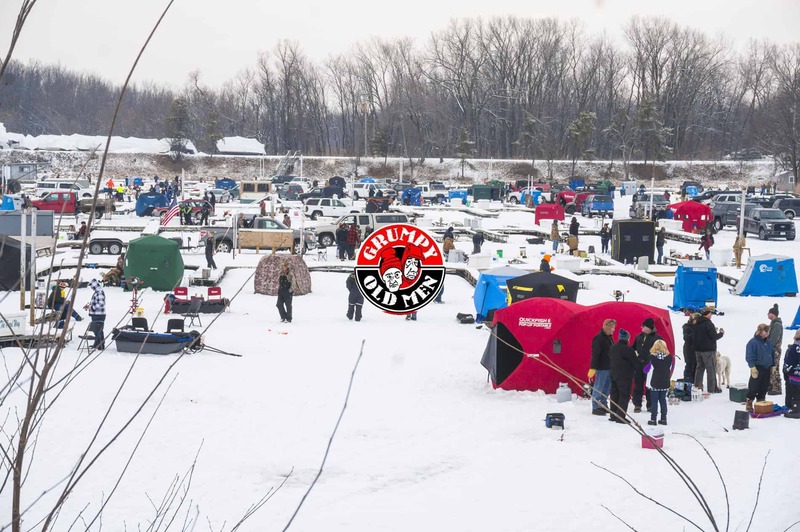 The Wabasha VFW is sponsoring a Stretch Raffle for the 26th Annual Grumpy Old Men Festival! Celebrate the 26th annual Grumpy Old Men Festival with a delicious homemade hot dish luncheon at United Church of Christ on Saturday, February 23rd from 11:00am - 1:00pm. 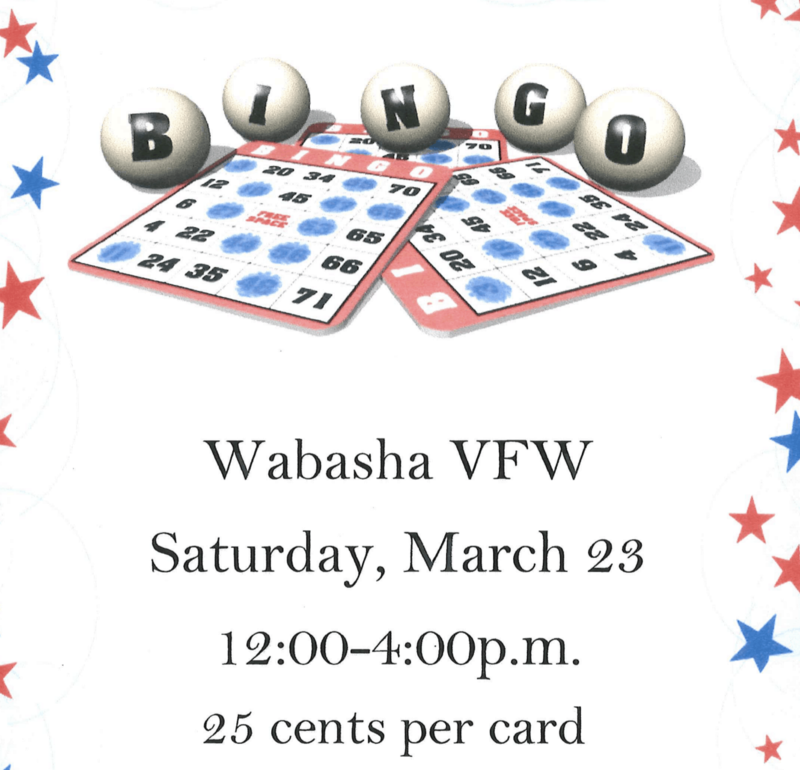 The VFW will be holding the Cribbage Tournament on February 23rd. Registration opens at 11:45am. Riverboat Lanes	218 2nd St. This year's Texas Hold'em Poker tournament will be held at Riverboat Lanes. Registration opens at 11:45! 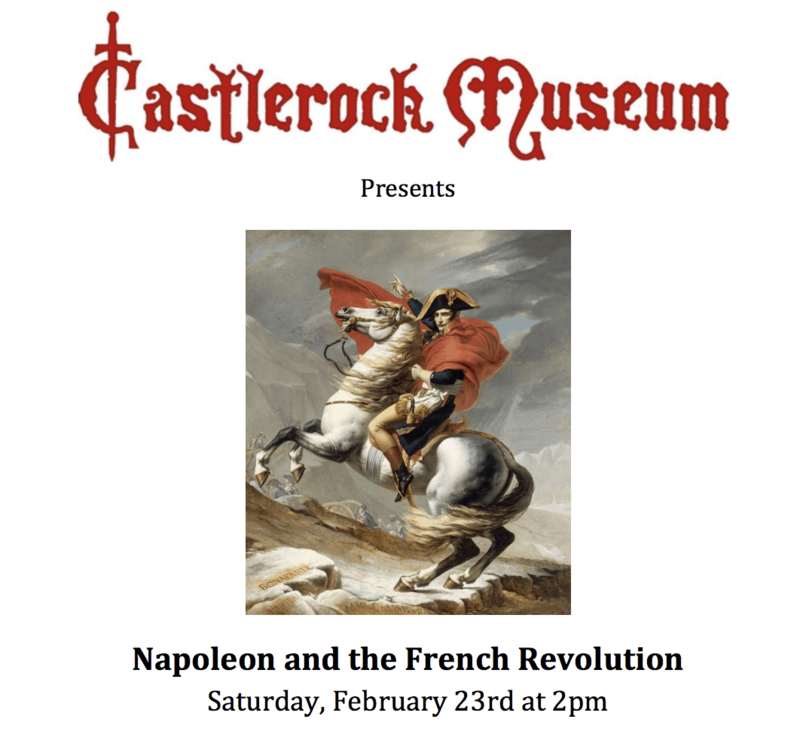 On Saturday, February 23rd at 2pm, Gene Pelowski will give a multimedia presentation on “Napoleon and the French Revolution” at Castlerock Museum in Alma, Wisconsin. The program will focus on the music and art from the era. Some of the musical pieces that will be integrated into historical events include La Marseillaise, Beethoven’s 3rd, 5th, and 9th, Wellington’s Victory, and Tchaikovsky’s 1812 Overture. The Age of Napoleon by Will Durant will be used as a guide. Admission is $6 for adults and $4 for students. Museum members receive a 50% discount. Castlerock Museum will be open at 1pm for visitors that would like to see the exhibits beforehand. Seating is limited. Reservations are not required but appreciated. Contact the museum at 608-685-4231 or [email protected] for more details. Click here to learn more! Stop down to the Pioneer Club to enjoy their stunning ice bar during the Grumpy Old Men Festival! 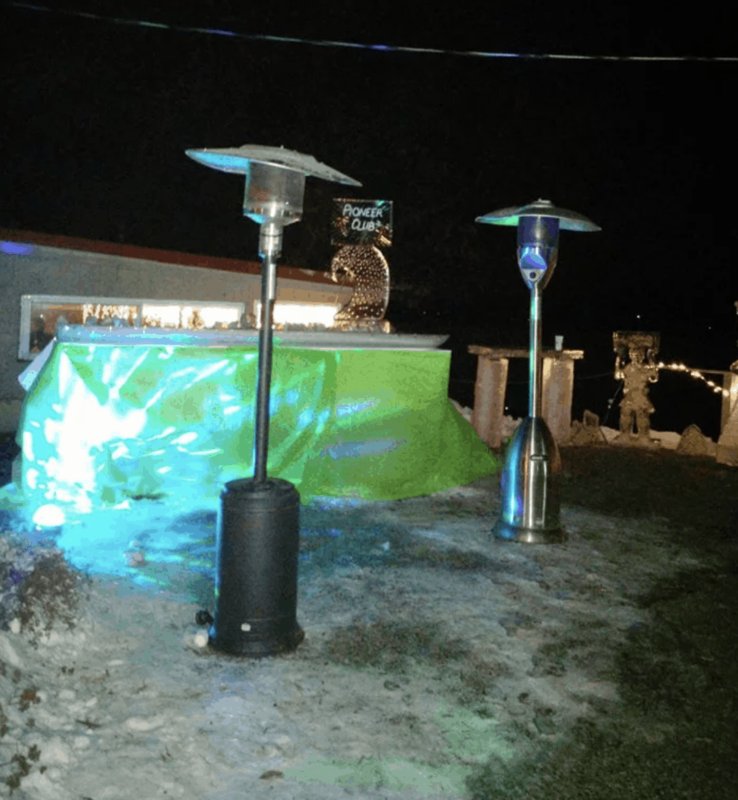 Enjoy drink specials at the outside bar, a warm bonfire, and music by DJ-TJ at 7:30pm Contact the Pioneer Club for full ice bar hours. After enjoying the Grumpy Plunge, head on over to Slippery's for a delicious pate of spaghetti! Stop by Slippery's to enjoy live music by True Heat! Celebrate the Grumpy Old Men Festival with great music by DJ-TJ at the Pioneer Club! Paul Holland and Friends will be at the Silver Star Saloon Saturday February 23rd! You won't want to miss it! 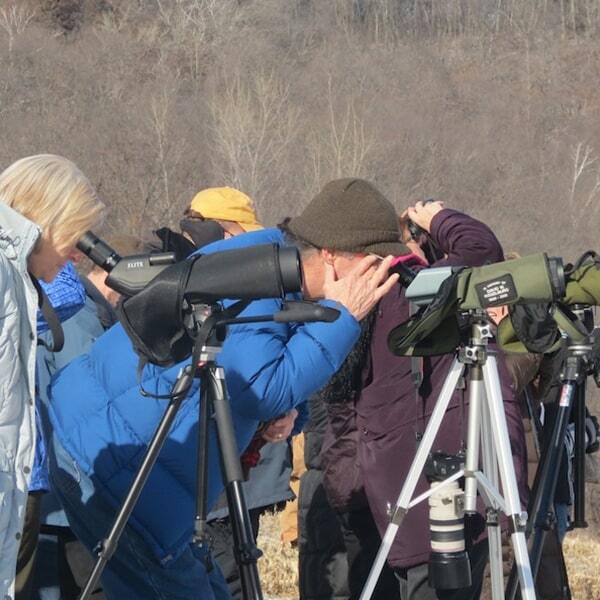 Join us for a wild ride of adventure above, on, and below the amazing Driftless Region! 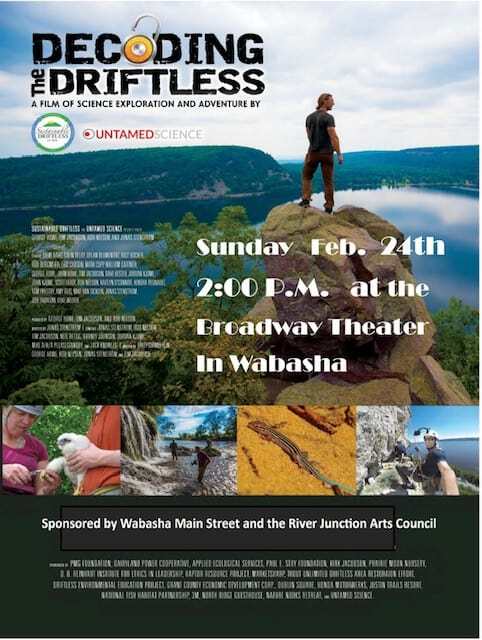 Emmy- winning filmmakers George Howe, Tim Jacobson, Rob Nelson, and Neil Rettig have teamed up with Jonas Stenstrom of Untamed Science, to capture fantastic footage of the Driftless Region, and weave it into a compelling story, in a way never done before. You'll soar over ancient rugged bluffs, skim the surface of primordial rivers, venture deep underground to mysterious secret worlds, marvel at sacred archeological treasures, and hang perilously over massive rock cliffs. One thing for sure, you’ll never forget this film, and you'll want to share it with everyone you know! Meet the producer, George Howe! Sponsored by Wabasha Main Street and River Junctions Arts Council. Broadway Theater Middle School. Suggested $5.00 donation at the door. Concessions available. The movie, hats, shirts, and more will be for sale to help support Sustainable Driftless. 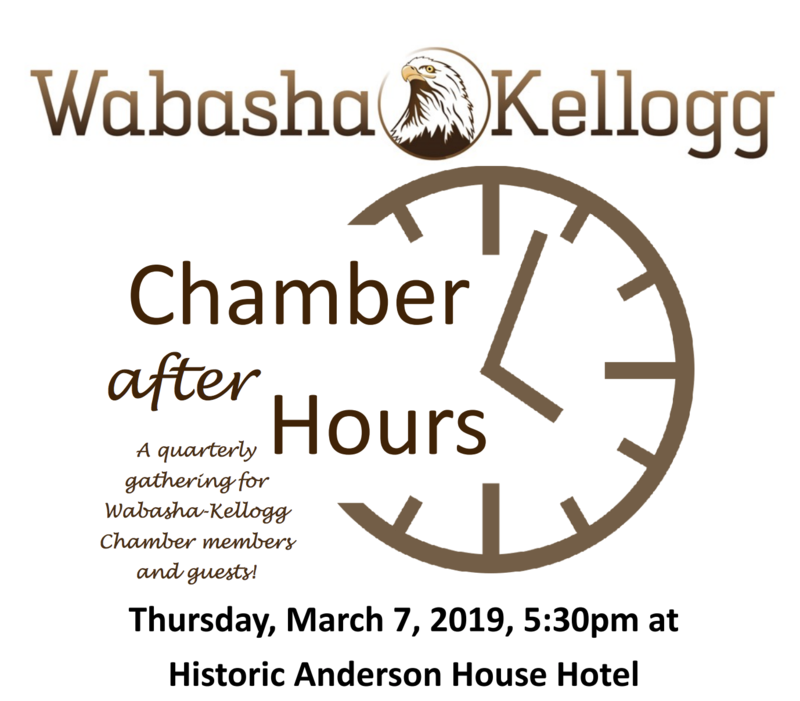 Join us on Thursday March 7th at the Historic Anderson House for our quarterly Chamber after Hours meeting. 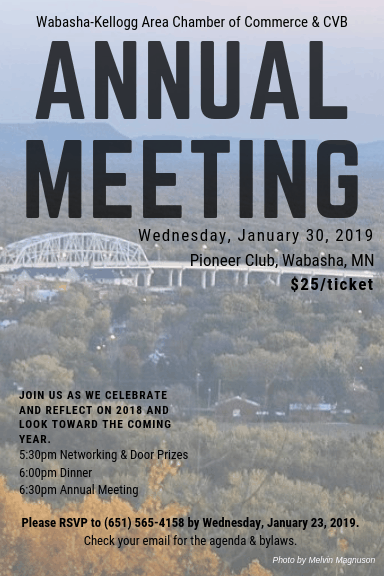 This is time for Wabasha-Kellogg community members to come together to connect, network, and engage with each other. Chamber members and guests are all welcome! Call 651-565-4158 or email [email protected] for more information. Bring the whole family down to Pioneer Club on March 16th for live entertainment by Family Fun D.J. We'll see you there! 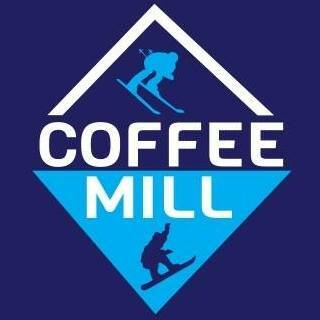 Celebrate a great year of winter at Coffee Mill Ski Area March 16th & 17th. Each day will be filled with fun activities for skiers and snowboarders of all ages. Saturday kicks off with the Scavenger Hunt and Poker Run. Sunday promises a lot of fun with the Skier/Snowboard Cross and the Cardboard Box Race! We will see you there! Schedule of Events Saturday 3/16/2019 Poker Run Scavenger Hunt Sunday 3/17/2019 Boardercross/Skiercross Registration: 9am-10am Course Inspection: 10am-11am Competition: 11am-1pm Awards after the Cardboard Box Derby Sunday Slalom Registration: 11am-2pm Course Inspection: 2pm Competition: 3pm Cardboard Box Race: 4pm All Crafts must be made of cardboard, tape, or glue. No Wood, Metal, or PVC No Ski Boots All Participants must wear a Helmet and sign a waiver! All awards and door prizes will be given after the cardboard box derby. 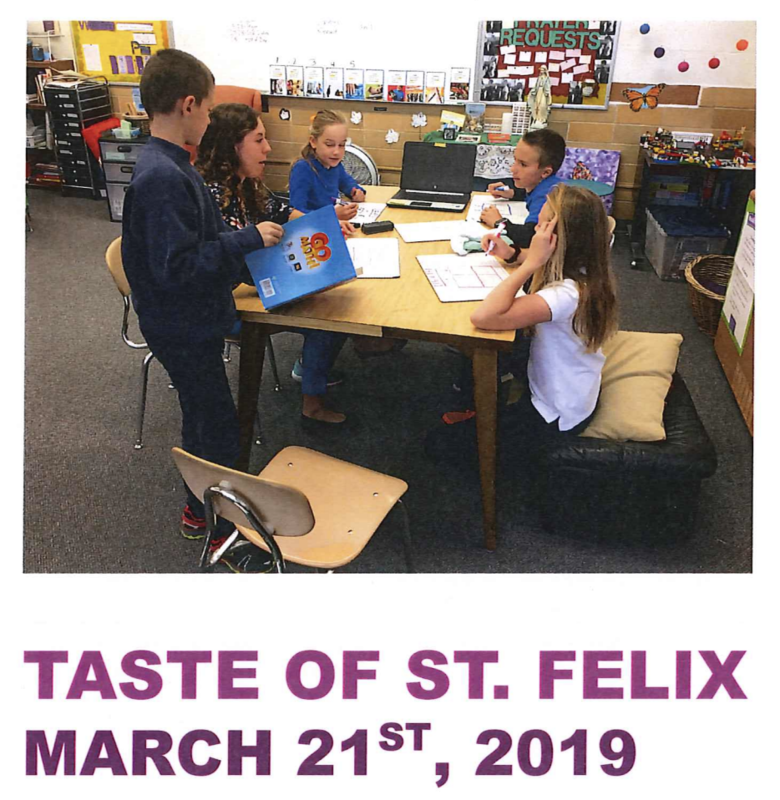 Come get a taste of St. Felix School!. See what St. Felix has to offer like small class size, high academic standards, and strong moral values. Parents are invited to visit St. Felix Catholic School on Thursday March 21st for a guided tour and discover how the school can be right for their children. D.J-T.J will be down at the Pioneer Club on March 23rd. Stop by for a great food and entertainment! Want to learn more about the Vikings? 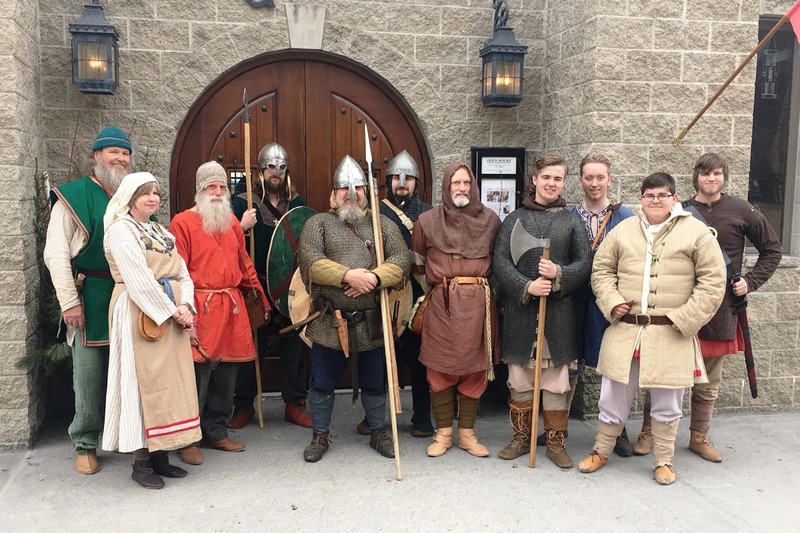 Then visit Castlerock Museum in Alma, Wisconsin on Saturday, March 23rd from 12-4pm for the museum’s annual “Meet the Vikings” event, an afternoon celebration of all things “Viking.” Reenactors will be on hand to answer questions about Viking history, culture, technology, clothing, and weapons. There will also be several recreated Viking and Anglo-Saxon shields on display. Demonstrations will show band weaving with a rigid heddle backstrap loom, spinning yarn with drop spindles, nalbinding, a type of single-needle knitting; and how silver inlays were made in iron. Visitors can also see several actual Viking era artifacts on exhibit including a spangenhelm, chieftain’s sword, and Danish axe. Admission is $6 for adults and $4 for students. Children four and under are free. Members receive a 50% discount. Contact the museum at 608-685-4231 or [email protected] for more details. Visit the Facebook Page to learn more! 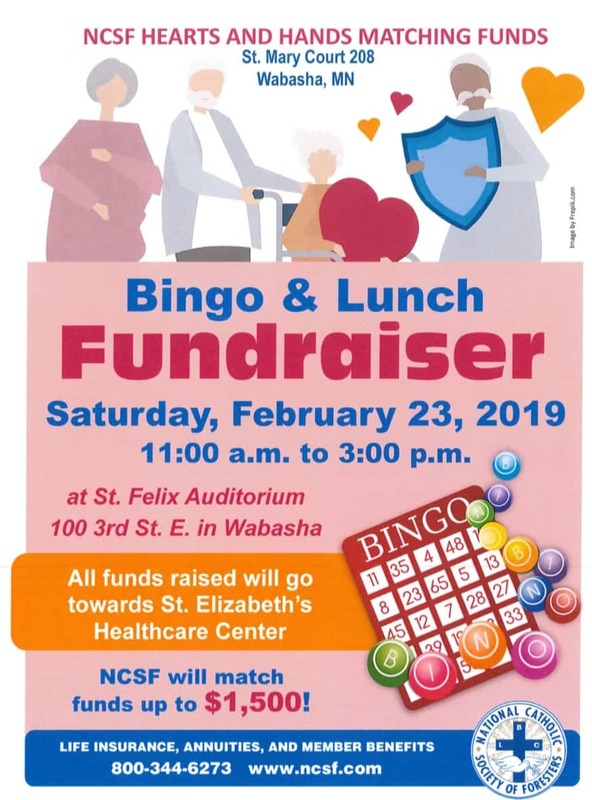 The Wabasha American Legion Auxillary is sponsoring an exciting afternoon of Bingo on Saturday, March 23rd from 12:00pm - 4:00pm. Cost is 25 cents per card! Be a part of the the VFW Blood Drive on Tuesday, March 26th from 11:30am to 5:30pm at the VFW. Every 2 seconds someone in the U.S. needs blood. Get ready for the 2019 golf season at the Coffee Mill Open House on March 29th. Beverages and Hors D'ouevres will be served. Discover the benefits of Integrative Medicine with four monthly programs at Saint Elizabeth's Medical Center. 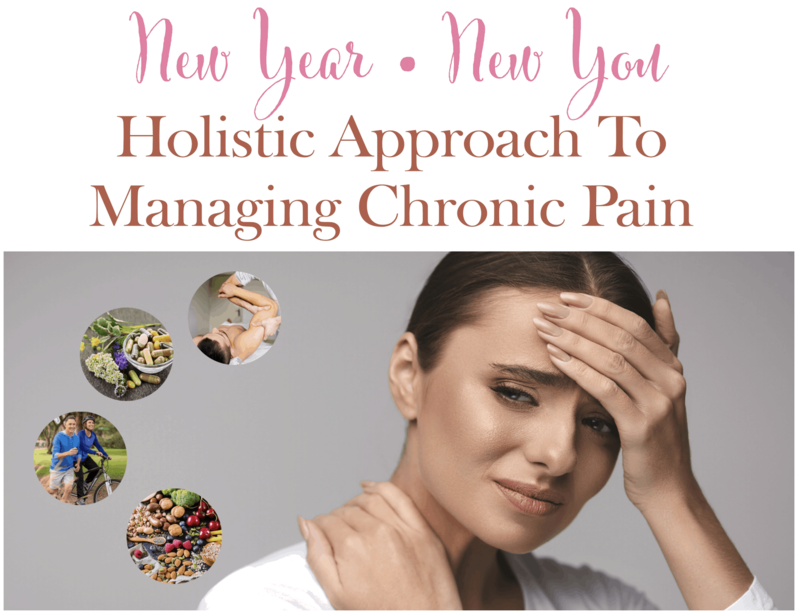 Integrative Medicine is a holistic approach to care that strengthens the body, mind, and spirit connection. It is a comprehensive approach to person-centered care that focuses on prevention, health promotion and wellness. Call 651-565-3131 or email [email protected] to register. Students at the Wabasha-Kellogg Schools have the opportunity to showcase their artistic talents at the Wabasha Public Library. 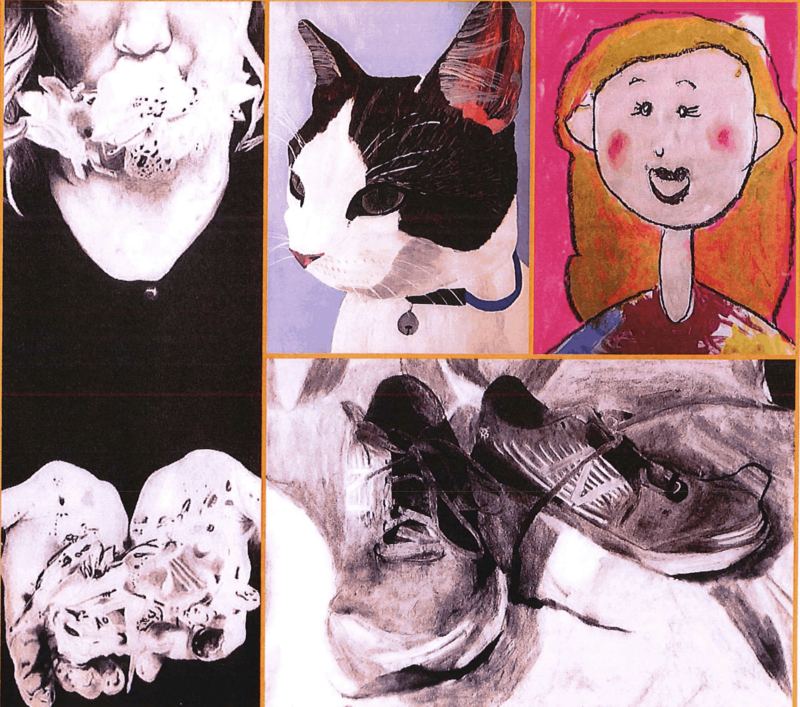 Support the students' creativity at the Art Show Opening Reception on April 4th at 6pm at the Wabahsa Public Library. The artwork will be showcased from April 4th through May 3rd. 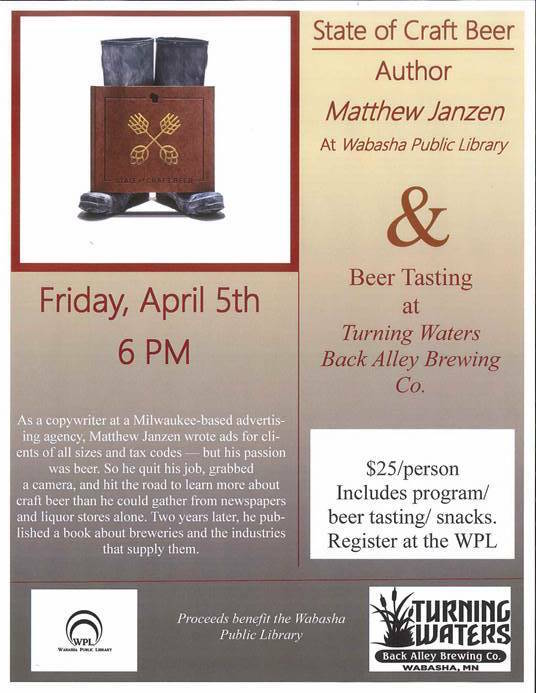 Meet author Matthew Janzen at the Wabasha Public Library and learn about his book, the State of Craft Beer and enjoy beer tastings at Turning Water Back Alley Brewing! As a Copywriter at a Milwaukee-based advertisement agency, Matthew Janzen wrote ads for clients of all sizes and tax codes - but his true passion was beer. So he quit his job, grabbed a camera, and hit the road to learn more about craft beer than he could gather from newspapers and liquor stores. Two years later, published a book about the breweries and the industries that supply them. Cost is $25 per person. Proceeds benefit the Wabasha Public Library. Stop by the Pioneer Club on April 6th and May 4th for entertainment by DJ-TJ! We'll see you there! 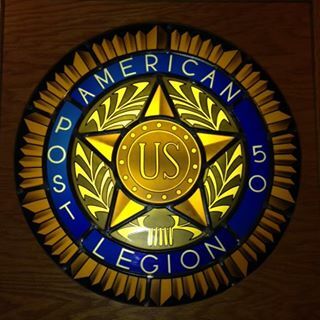 Join us for our Dinner and Annual Meeting on Thursday April 11th to elect Post 50 Officers and designate convention delegates. The dinner and meeting will be held at the VFW hall. All are welcome to join. Visit LARK Toys for any (or all) fun-packed 7 Happy Fridays! Enjoy stories, music, and movement, ending with a musical march to the carousel, 10:15am-11:00am. Big Tony will be at the Pioneer Club in April 13th! Stop on by for great food and a fun night of music!